Being a trained gemmologist, founder and designer Susi Smithers’ passion and knowledge is demonstrated through the use of exceptional gemstones and crystals chosen for their saturation and life. Previous pieces have shown the natural beauty of brilliantly green Namibian Demantoids, vivid blue Afghan Tourmaline, Mandarin Garnet and hot pink Mahenge Spinel amplified by a kaleidoscopic array of nano ceramic coatings. 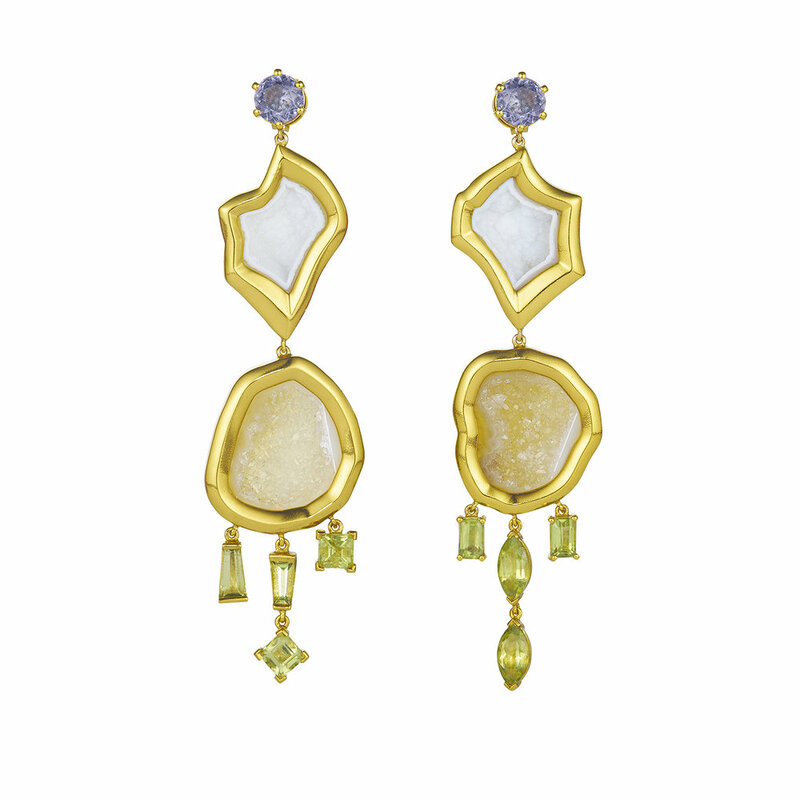 New pieces exhibit mini geodes and copper plated druzy which introduce a fresh, feminine tactility and finish. The Rock Hound’s signature nano ceramic coatings will feature but in never seen before colour combinations. Partnering this unparalleled, ever expanding treasure trove of gemstones with a blend of time honoured and contemporary techniques, The Rock Hound are able to create unconventional and exclusive pieces. Using gouache paints, the process starts with a traditional hand rendering of the design which is transformed into CAD. 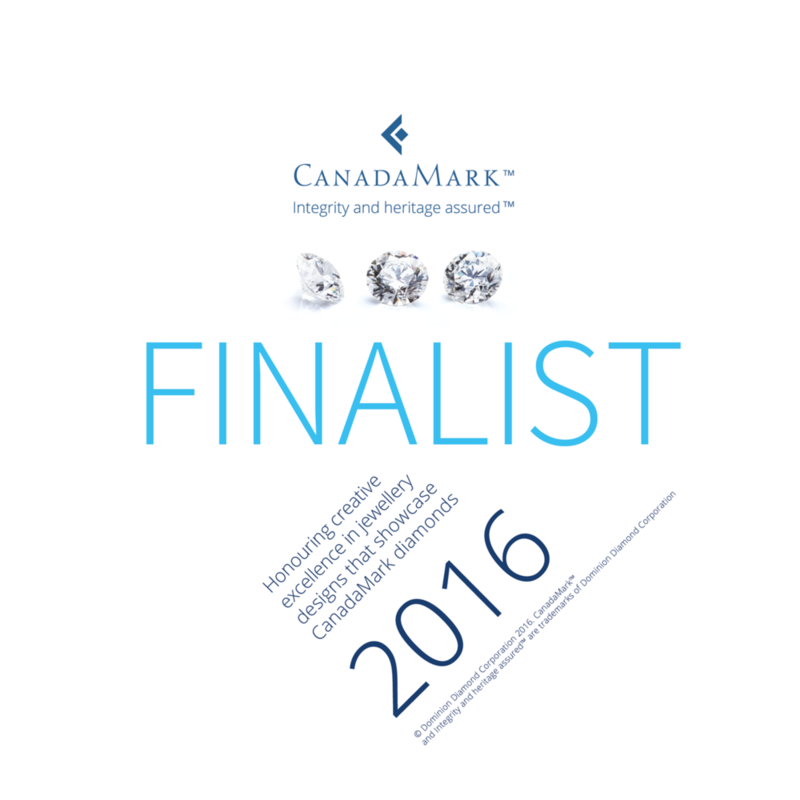 The chosen gemstones for each piece are then scanned and linked digitally with the CAD where all measurements are calibrated to create a setting that perfectly fits the uniquely cut gemstones. With high tech software, the finalised settings are 3D printed in wax and then cast in recycled precious metals. The metal settings are coloured in an array of Nano Ceramics, an electroplating technique that bonds nanoparticles of coloured pigment to the surface of metal. Finesse and artistic skill are imperative in achieving the vibrancy and lustre. 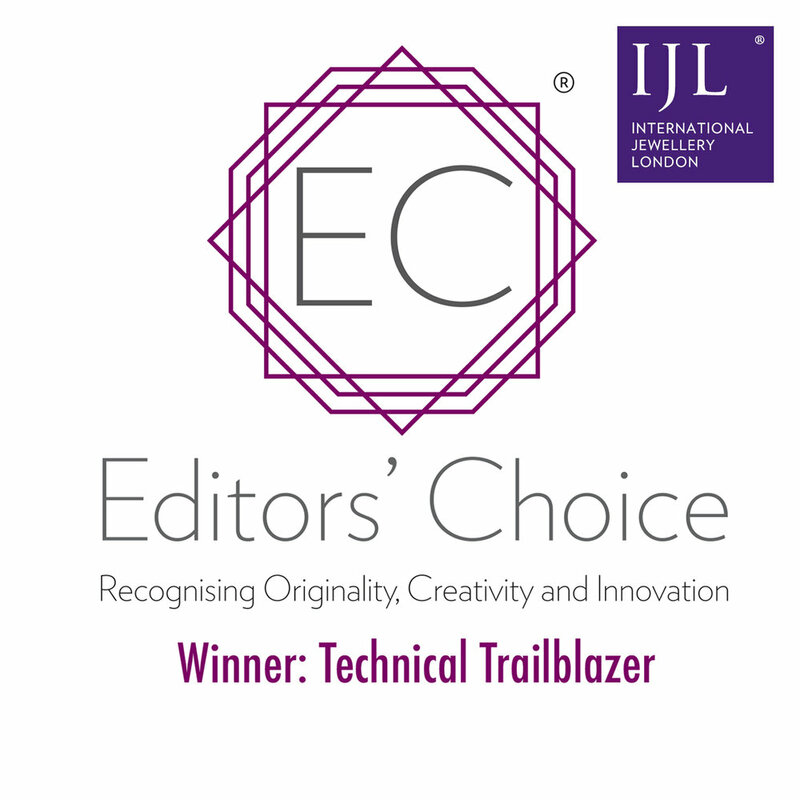 Rachel Taylor, IJL’s trend editor has already picked up on Chromanteq fitting into their Spring/Summer 2018 trends. Chase The Rainbow celebrates coloured ceramics and plating techniques that bring you surreal colour statements and gemstones that create accent flashes. These new pieces will be added to our online shop in the next few weeks, please sign up to our newsletter using the box below to be the first to know. A sneak peek from our very first photoshoot last week. 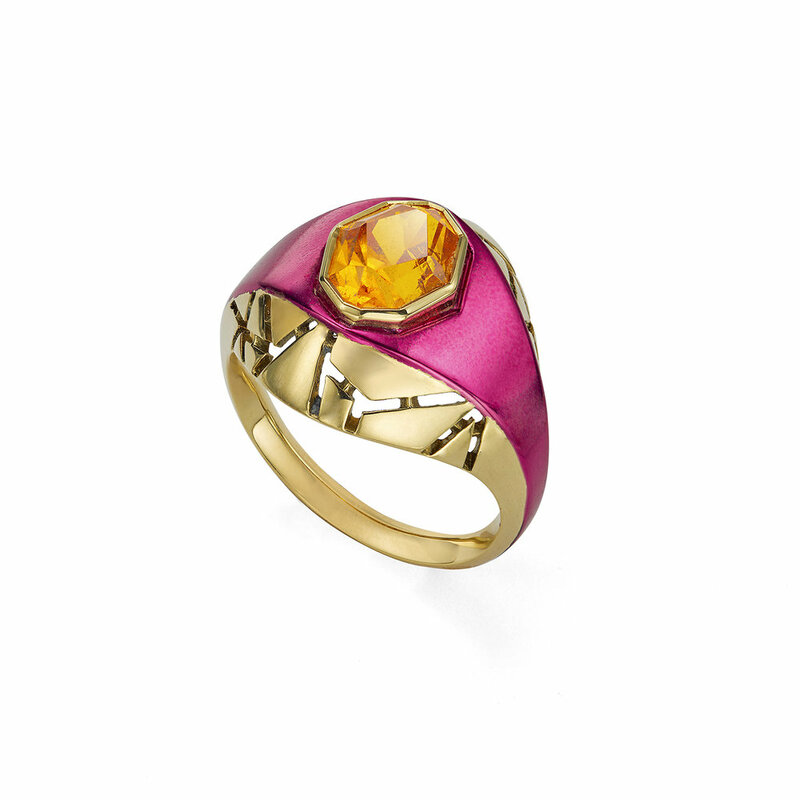 If you popped to IJL at the weekend no doubt you saw our new kaleidoscopic collection HotRocks. 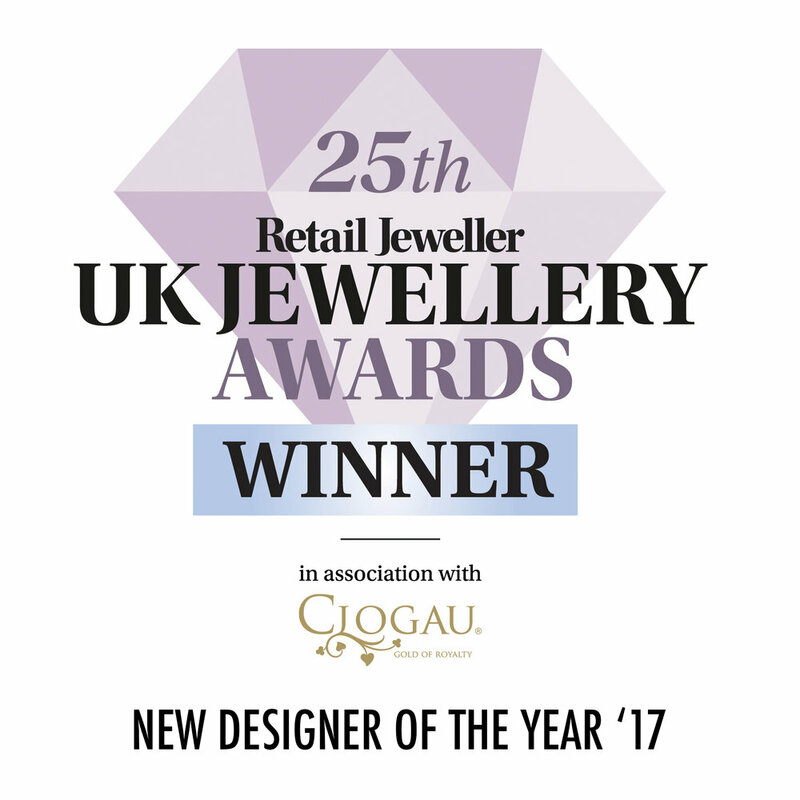 Susi won New Designer of the Year in the Professional Jeweller UK Jewellery Awards! 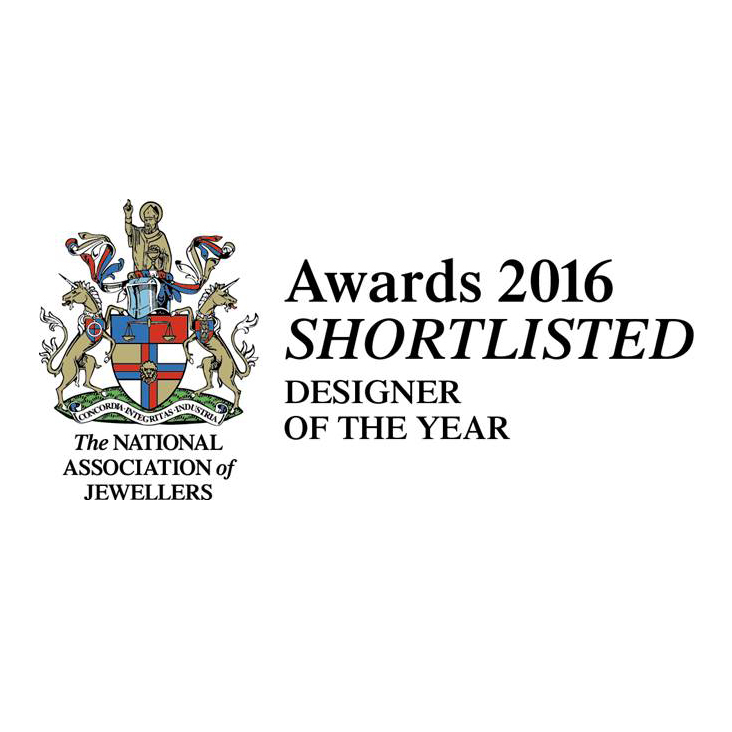 We have been shortlisted for New Designer of the Year!